Bright and colorful, the Sarape collections features stripes in turquoise, burgundy, sunset orange and chocolate. This coordinates with chocolate suede or faux leather accessories sold separately. 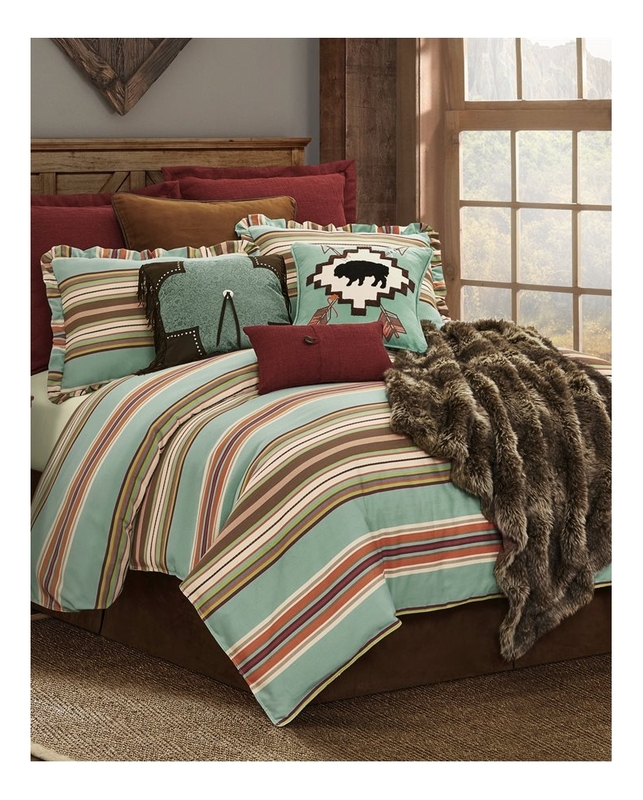 3 piece king set includes comforter and (2) king pillow shams. Measurements: king comforter 110 X 96", king pillow sham 21" X 27". Dry clean recommended. Comforter: face: 15% linen/ 45% cotton/ 40% polyester, back: 100% cotton, filling: 100% polyester; sham: 15% linen/45% cotton/40% polyester. Imported.